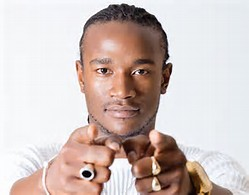 Zimbabwean award-winning contemporary musician, Mukudzei Mukombe, popularly known as Jah Prayzah, yesterday reportedly bolted from an angry mob which bayed for his blood at a graveyard for 'refusing to buy beer' for mourners. The lanky music crooner had gone to pay his last respects to his former security aide, the late Crispen Nyemba, at Glen Forest Memorial Park but got a rude awakening as suspected touts and aggrieved relatives manhandled and pelted him with objects. In amateur videos footages which have gone viral, Jah Prayzah is seen scampering for cover as the marauding crowd beats him up. He was accompanied by his manager Keen Mushapaidze. Sources told NewsAnchor that some relatives and friends of the late Nyemba had tried to engage the deceased's former employer to contribute some cash towards food and other logistics at the funeral wake but the musician had snubbed them. "The mourners felt he had no business coming to the burial because he had refused to contribute even a dollar towards buying provisions such as cabbages. What further incensed some mourners was that his security details pushed and shoved through the crowd according him VIP status when infact he hadn't contributed anything," said a source, who witnessed the event. Nyemba died in a car accident along Samora Machel Avenue, Belvedere in the early hours of Sunday while on his way from a musical show by Jamaican reggae artiste, Tarrus Riley held at the Harare International Conference Centre.